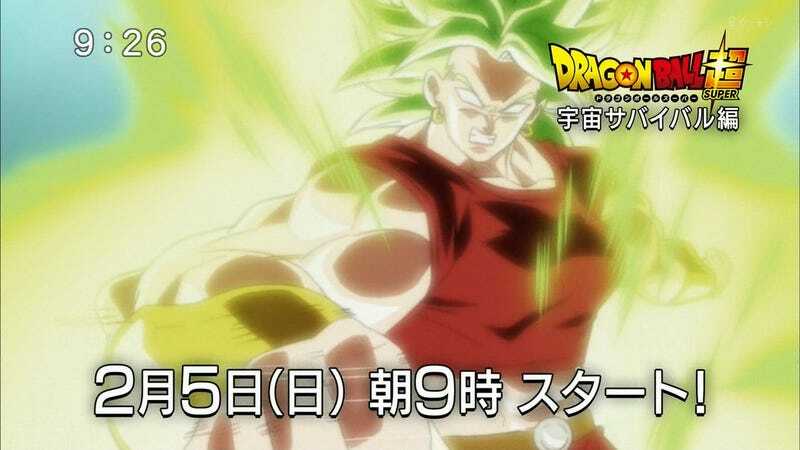 A teaser for the upcoming episode of Dragon Ball Super shows off what certainly looks to be a female version of the character Broly. This might be the first Super Saiyan woman in any Dragon Ball anime or manga. Broly, of course, is a male Super Saiyan. Check out the upcoming episode’s transformation scene below. YouTube user Geekdom 101 pointed out that this is probably not actually Broly. Rather, this character is a Broly tribute, riffing on the character design. Or maybe this is a Broly from another universe? It’s also important to note, as Geekdom 101 adds, this is apparently the first woman Super Saiyan we’ve seen in the anime and the manga. As the Dragon Ball Wikia explains, there have been female Super Saiyans in video games, but none have appeared in the manga or anime. This could also be a way to put Broly or Broly-type character in Dragon Ball canon as the character is not considered canon (more here and here). Will be interesting to see how these plays out.